Head-quartered in Germany with an international footprint and an office in South Africa, T-Systems is a leading global service provider of ICT solutions to companies and organisations worldwide. Every year, T-Systems South Africa hosts an annual showcase to introduce its full range of services to existing as well as prospective clients in both public and private sectors. The majority of is invitees are C-Suite executives, top managers and decision-makers. The showcase is held in the ‘two capitals’ of South Africa: Johannesburg and Cape Town. T-Systems appointed BWD Advertising to take care of the event communication for two consecutive years, in 2016 and 2017. There were two main challenges in this scenario. Firstly, these events had to be rolled out in record periods of less than three months, from the date of the original brief – to the actual event. Secondly, the products and services of T-Systems are highly technical and require innovative approaches to present it to their target audiences in a palatable manner. Spearheaded by MAC specialists and strategists, BWD Advertising is ever mindful of the fact that communication can make or break an event. For this reason, BWD kicked the processes off by developing solid event communication plans. With input from T-Systems’ executive team, the plans defined the strategic objectives of the event, and articulated the key messages that have to underpin it. It also detailed the messaging and communication channels that it has to be delivered on, for every phase of the event, right through from the build-up to the event, to engaging attendees during the events itself, as well as post event communication. Over the years, BWD has produced a series of corporate videos and animated video explainers of T-Systems’ different products and services. The insights gained in the process, contributed greatly to the team being able to conceptualise inventive ways to conceptualise the theme and approach for both the 2016 and 2017 events. The current buzz phrase in the ICT industry is ‘digital transformation’ and it basically speaks to converting from legacy systems to modern technology. T-Systems response to this age of digital transformation is best captured in their slogan: ‘make it happen.’ What sets T-Systems apart though; is their acknowledgement of the fact that each company’s scenario is different and that the solution can only be determined, once the company in question’s particular circumstances are known. This simply means that each solution is actually a co-creation that is a result of collaboration between T-Systems and the client. It is this understanding of what T-Systems is about, that inspired BWD to propose that the themes for the 2016 and 2017 events remain centred on T-Systems’ slogan – ‘make it happen’- but that the events are delivered in an interactive Q&A format. 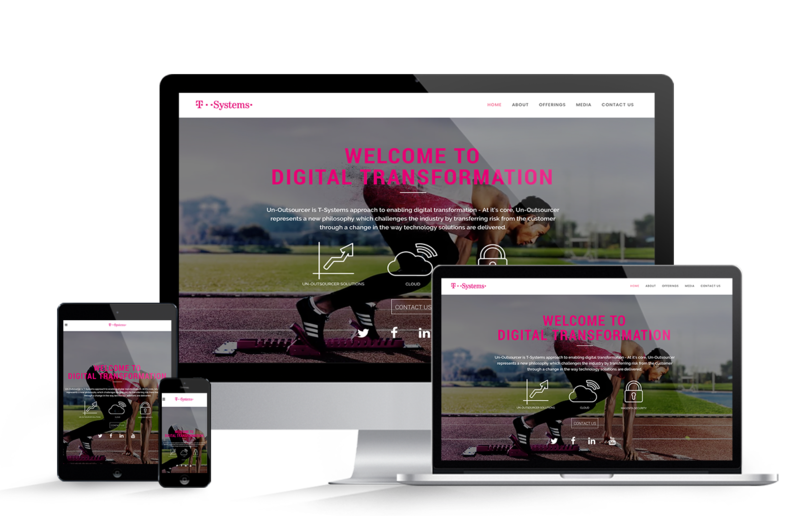 What it implied in practise; is that clients were invited to formulate all their burning questions around digital transformation and the implication of it beforehand, so that T-Systems could respond to these questions at the event. As a result, the events were interactive and ultra-engaging, addressing real issues and concerns and equipping clients to leave with useful takeaways and solid resolutions. Another major advantage of BWD’s insights into T-Systems was that all the collateral for the events was produced in a manner that is consistent and true to the brand. Amongst other, BWD was also able to compile and produce a one-page info-graphic style leaflet that encapsulates the highly technical service offering of T-Systems in a simple yet effective manner that is easily understood by its target audiences. Optimising in-house resources…The fact that BWD Advertising is a full service agency with full-time MAC specialists and in-house resources, made a significant contribution to seamless and efficient delivery. To ensure that all the event deliverables are met within the tight timelines, BWD’s staff also worked overtime and the company rendered the necessary support to enable them to do so. T-Systems’ annual showcase events in Cape Town and Johannesburg were successfully delivered, within record time frames – and on budget. The format of the events was very different from the industry norm and attendees walked away inspired and empowered with useful information. Closeout reports were compiled and lessons learnt were noted for future improvements. BWD’s in-house high-tech studio with audio-visual equipment and was able to photograph and videotape these events, to build a comprehensive bank of content that T-Systems can use in future marketing material. BWD has already been positioned to assist T-Systems with the 2018 showcase events, which will be the third consecutive year.